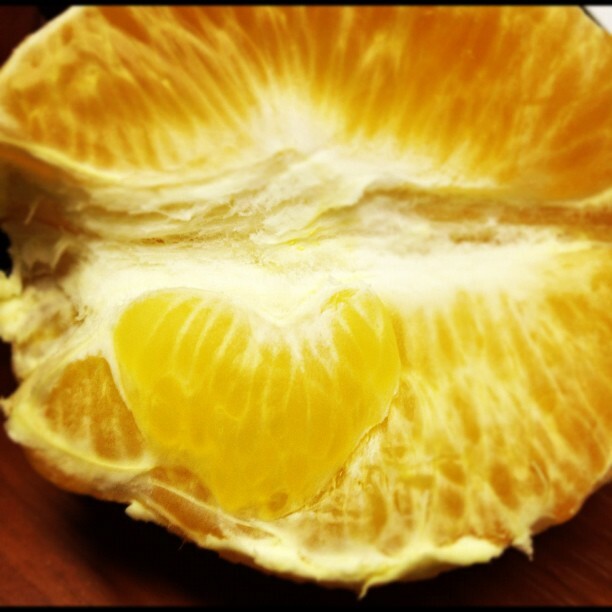 This morning when I opened my orange this was the first thing I saw – A little heart in the center of the fruit. The aroma of an orange is strong and you can smell it from far away – So is the power of love – Not just a strong word but an emotion/feeling/experience with POWER! So guess this is my message for the day. 3-7 If I give everything I own to the poor and even go to the stake to be burned as a martyr, but I don’t love, I’ve gotten nowhere. So, no matter what I say, what I believe, and what I do, I’m bankrupt without love.Love never gives up. Keep on keeping on, love one another, forgive one another, respect one another but most important of all LOVE one another! Have a super fabulous beautiful day!